Out on DVD and digital download today, Honey Rise Up and Dance the fourth instalment of the Universal film franchise starring Teyana Taylor, Bryshere Y. Gray and Sierra McClain. The film features 2 songs from the Affix family, include the movie’s theme. While the two Affix Music songs used in the film contrast in style and subject matter, they share a few things in common. Both songs from the Atlanta artists were produced by the artist’s brothers. “Reppin’ The A” by Ni Emory was produced by his brother Nick and Decatur Redd’s “Cold World” was produced by his brother Ku Dolla. 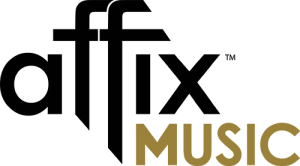 Music from all four artists can be found at Affix Music.